Penguins are flightless birds inhabiting primarily the Southern Hemisphere, with the one exception of Galapagos penguin, living north of the equator. They can be easily identified because of their mostly black and white colors, as well as the lack of wings, which have evolved into flippers to aid them in swimming. They are divided into 6 genera consisting of 18 species. Size: Measurements of penguins are variable; the largest species is the emperor penguin, which stands at around 43 inches (1.1 m) tall. The smallest is the little blue penguin, at just 16 inches (40 cm). Weight: They can weigh between 2.2 lb (1 kg) and 77 lb (35 kg). Color: Most of these birds have black and white as their primary body colors. Body: They have stocky bodies with smooth feathers which help them stay insulated. Most penguins are found in the Southern Hemisphere, except for the Galapagos penguin, which lives in the islands it is named after. Countries in which most species are found are Argentina, Chile, Australia, South Africa and New Zealand. 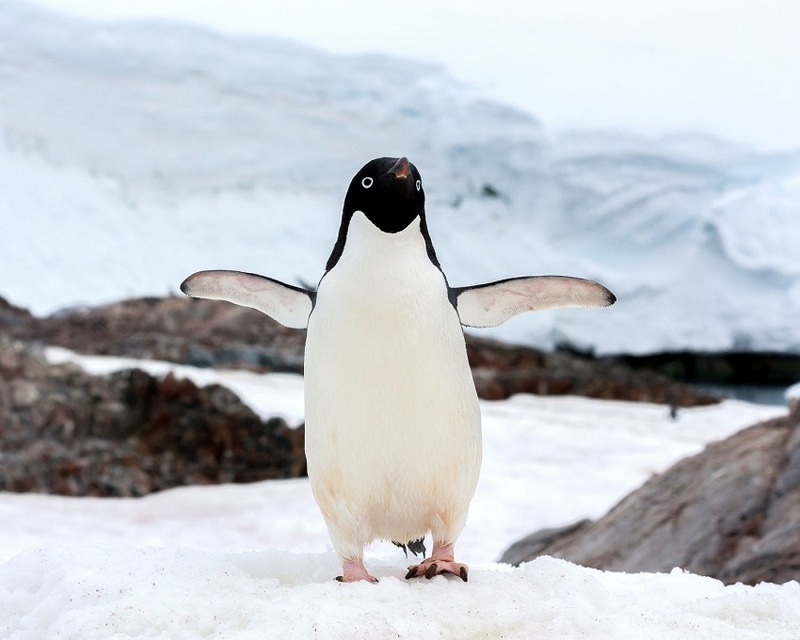 Antarctica is also home to many penguin species. 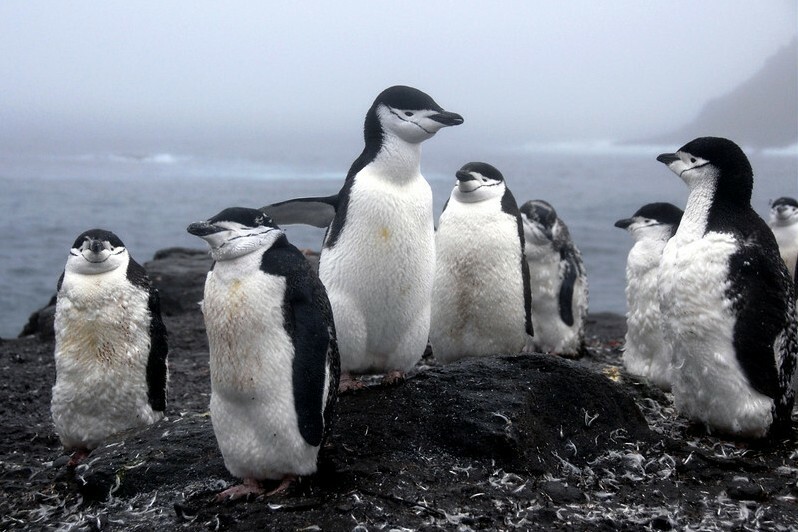 Penguins inhabit remote islands with as little predator activity as possible. It is commonly thought that they only live in cold places, but in fact, they can also be found in temperate areas. Across species, these birds feed on squid, krill, fish, and various other sea organisms. All species engage in social preening, this, in turn, helps in waterproofing the plumage. They stay near the surfaces of water so that they can go swimming to look for food at any time. These birds are usually most active during the day, making them diurnal. They can perform some work during the night too. They are very docile to other animals and humans, often getting as close as a few feet of a person. Penguins often become territorial during the mating season. Penguins do not doze off into a deep sleep like other animals as, although rarely, they can be preyed upon. Therefore they take small naps throughout the day. 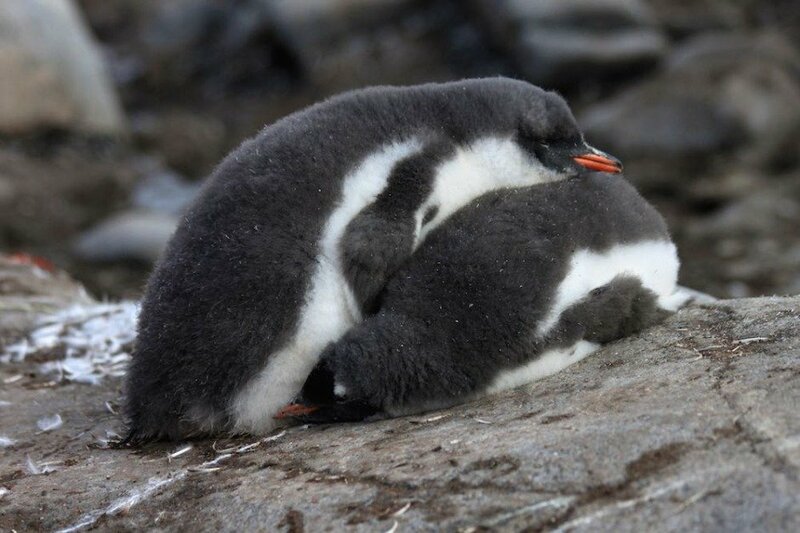 They have been seen sleeping on land most of the time although scientists are of the notion that penguins also sleep when they are in the ocean. 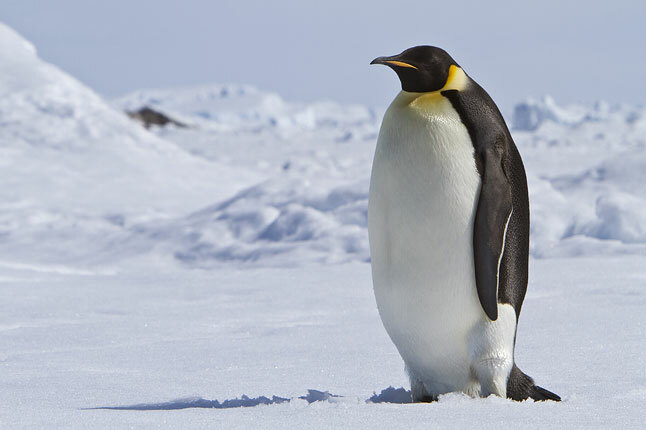 Larger species like the emperor penguin sleep while standing; most other species sleep lying down, some on their belly, while others, especially the smaller species sleep in burrows. Mating season varies among the different species. They usually breed in colonies consisting of many pairs. 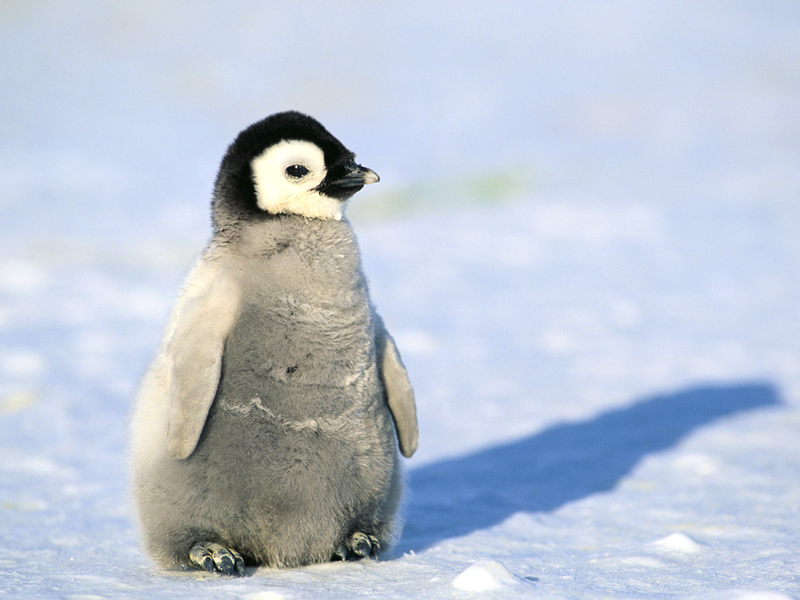 Most species lay two eggs in a clutch, except for the king and emperor penguins, which lay just one. Incubation is done by both parents, except for the emperor species, where the male takes all the charge. 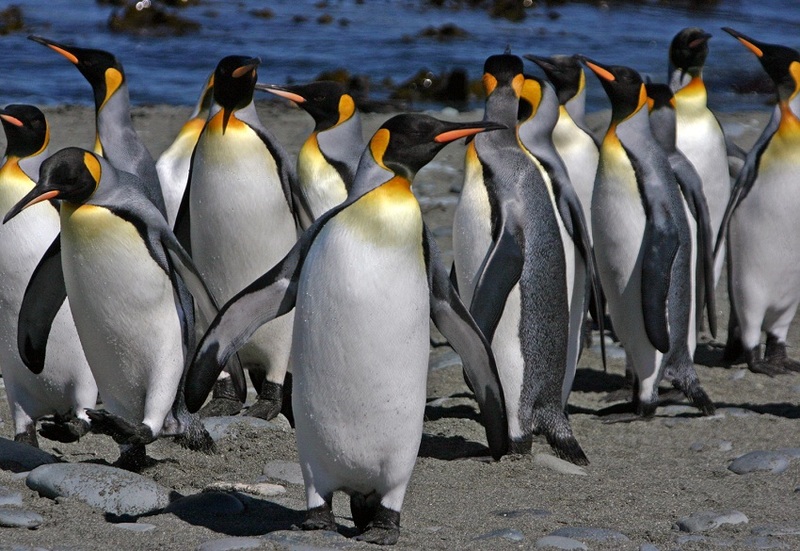 Most penguins are monogamous, meaning they remain with the same partner all their life. African, royal, and gentoo penguins are examples of monogamous species, while some, like the emperor penguin, remain with a single partner for a season, choosing a new partner in the next breeding season. 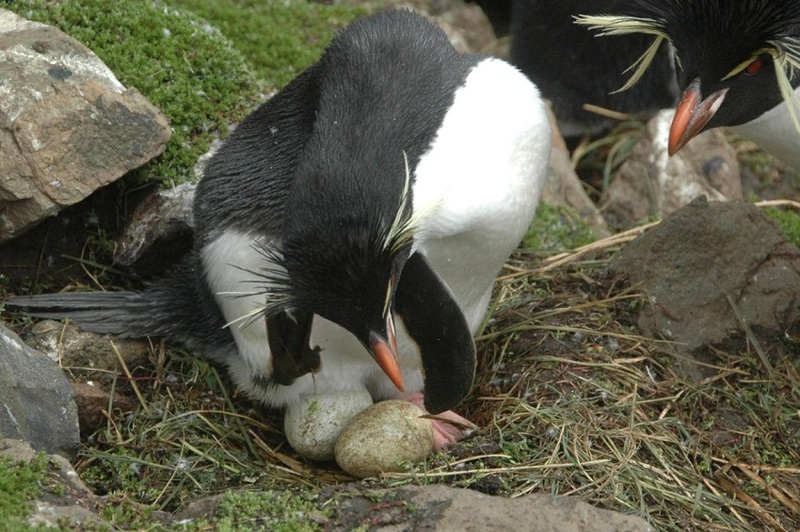 The baby penguins, called chicks, are looked after by both parents. They are born with different coloration that sets them apart from adults and is believed to draw caring behavior from parents, who do not see the chicks as rivals. They usually live for around 15 to 20 years in the wild. This goes up considerably when they are in captivity, with some individuals living to be 50 years old. There are not many predators on the land, but in the water leopard seals, orcas, and sharks often prey on adult penguins. A group of penguins in the water is called a raft, while when they are on land, it is called a colony, rookery or waddle. The flippers help them swim gracefully in the water. They can reach speeds of up to 15 miles per hour. The blubber under their skin helps them stay warm in freezing cold temperatures. There is a secretion that comes out of the penguins’ tail that helps keep them shiny and waterproof. They have solid bones that increase their weight, helping them stay underwater. The heart rate of penguins slows when they are deep underwater, helping them preserve oxygen. All species are counter shaded to help them camouflage themselves in the water. When a predator sees into the water from above, they will see the black, and will not be able to identify it as it will blend in with the dark background below it. Similarly, when an underwater predator looks up, the white belly will make it harder for the predator to identify the bird, as it will blend in with the background. 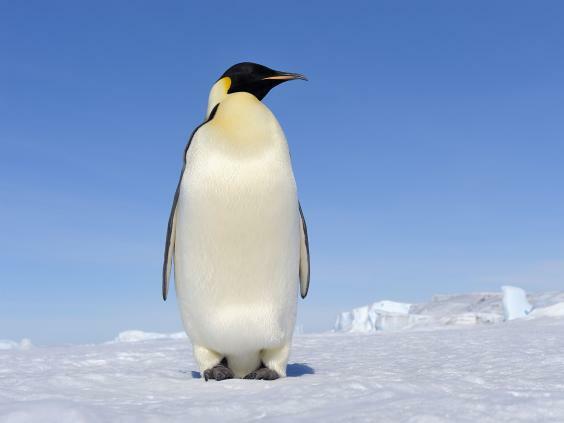 The duration varies depending on the size, age, and species of penguins, with the emperor penguin being capable of staying underwater for over 20 minutes. All species are protected, and hunting them or collecting their eggs is strictly prohibited. 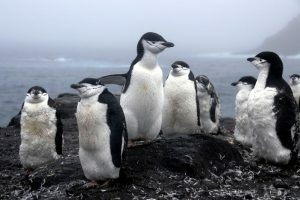 In 1959, 12 countries signed the Antarctic Treaty to preserve and protect that continent, as well as all wildlife dwelling there, making it illegal to interfere with or harm penguins and their eggs. Anything related to these birds has to be collected after special approval from the Scientific Committee for Antarctic Research (SCAR). Penguins spend half their life in the water and the other half on land. The mega penguin was the largest ever, standing at 6.6 ft (2 m) tall. It went extinct around 37 to 40 million years ago. 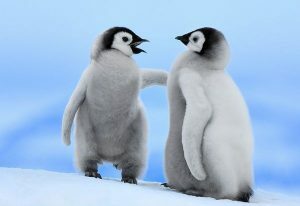 It is commonly and wrongly believed that penguins do not have knees, whereas their legs consist of a femur, knee, a tibia and a fibula. 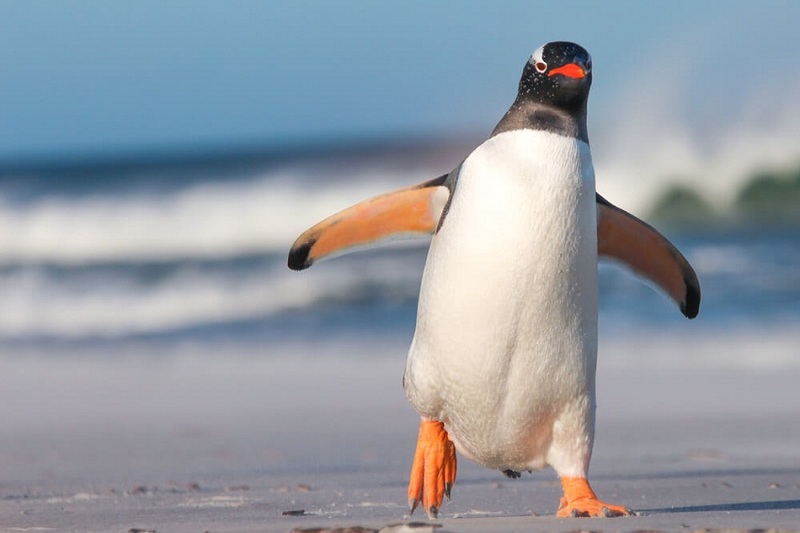 A penguin swims as well in the water as any other bird flies in the air.